"“Bad Luck” Benny is a fella from the wrong side of the tracks. Recently released from jail, he has vowed to keep his head down and stay out of trouble. But he also needs to care for his ailing sister and the rest of his struggling family, and he’ll do anything to make that happen—even if it means taking a position with a notorious crime boss. He soon finds himself in over his head—and worse still—falling for the one dame on earth he should be staying away from. Two worlds collide in this compelling story of star-crossed lovers in gritty prohibition-era New York." Have I ever told you that the roaring 20s is one of my favourite times? All the Jazz and bright lights and flappers. Oh, and the Lost Generation! I love the Lost Generation –I’ve a soft spot for Zelda Fitzgerald who is very misunderstood. Anyway, in The Canary Club, Sherry D. Ficklyn brought the twenties back to life with all the good and bad. Writing: I enjoyed the vivid descriptions of New York during the prohibition time. The use of slang from the time made the story seem ever more real. I’d like to stress that it is clear the author did a lot of research –from the language to the medical procedures for mental illness. "Prohibition has turned good people into criminals, and criminals into modern gods." I must confess that the ending felt a little bit rushed –the author could have taken a little bit more time to develop it since it was the big finale. But since there is going to be a sequel, I’m not going to complain much. Characters: Benny has a golden heart. He wants to do what is right, but his bad luck always drags him to very complicated situations. One of Benny’s characteristics that I enjoyed the most was how far he would go to protect those he loved –no matter how difficult was the path he had to follow to do it. Masie was a flapper in every sense of the world. Although a few times I found her insufferable, and a little bit entitled, I did warm up to Masie when it was revealed how much she had suffered (and still was suffering) at the hands of her father. Also, I enjoyed how she understood the world isn’t black and white and how she walked in those grey areas. 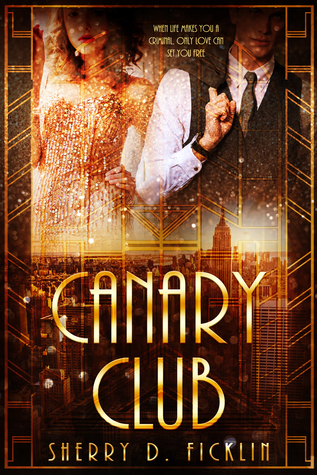 Romance: As it can be read in the synopsis, the plot of the The Canary Club centres very much on the romance between Benny and Masie. I must confess I'm a sucker for stories about forbidden love. And, although I don’t mind instalove as much as I mind love triangles, I was disappointed when it happened. I wanted Benny and Masie to slowly fall in love in world of crime and mobsters. Moreover, I felt it was out of character for Masie to fall instantly in love with Benny because, as she pointed out, she had never loved anyone before. It would shown character growth if the relationship between them had grown slowly. I'm glad you enjoyed this one! I hate rush endings, but it sounds like this still worked. I hope you love the sequel!